Whether it’s in a corporate office or a workspace at home, there are projects big and small that can jazz up a humdrum station. It’s not exactly breaking news that a creative workspace affects productivity and how you feel. Whether it’s in a corporate office or a workspace at home, there are projects big and small that can jazz up any humdrum station. 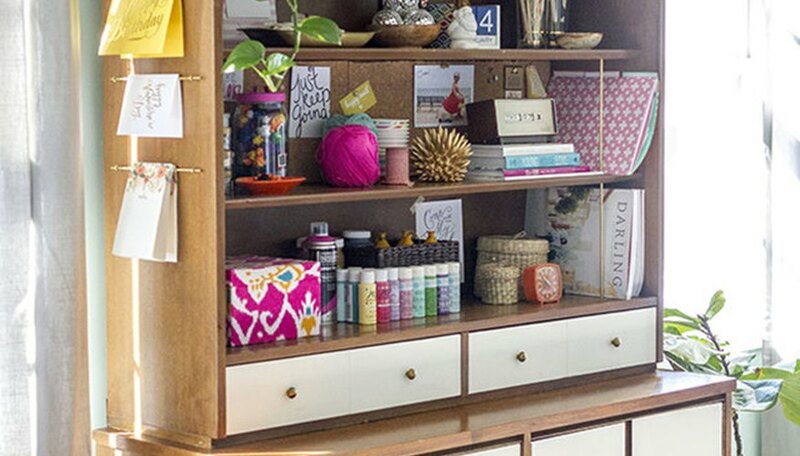 An unused China hutch is repurposed into a functional [command center](http://wwwehowcom/info_12340423_turn-china-hutch-office-command-centerhtml) with surprisingly simple changes like drawer dividers, a cork board, and brass pipes. The thought of reupholstering might have DIY newbies running for the door, but there’s no need to be intimidated. 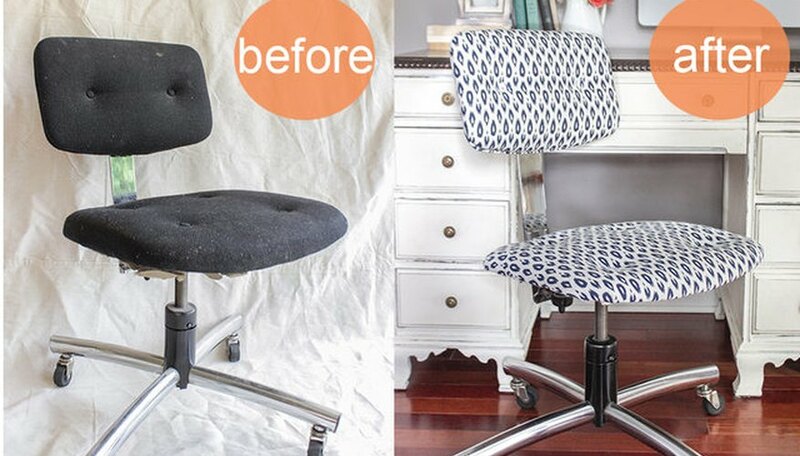 [This particular project](http://wwwehowcom/how_4853465_reupholster-office-chairhtml) is unbelievably easy (no sewing!) yet adds major personality to your workspace. 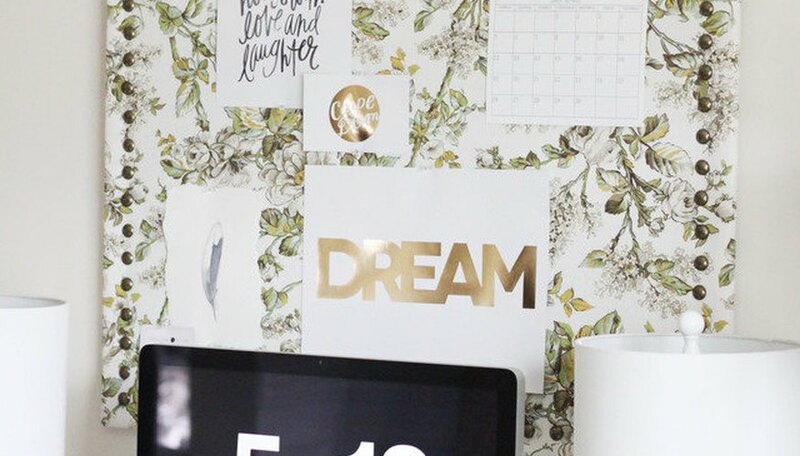 Give your boring board the boot and create a [pretty place](http://wwwehowcom/how_4505519_make-fabric-memo-boardhtml) to tack on your to-do lists and quotes of inspiration. The addition of nailheads amps up the sophistication factor. Leftover fabric is given new life as hanging art. Add an [instant pop of color](http://wwwehowcom/how_5186215_make-fabric-arthtml) to your office with this project, which works especially well if you don’t have the advantage of a window-facing desk. Make one big statement or layer several like-minded patterns. 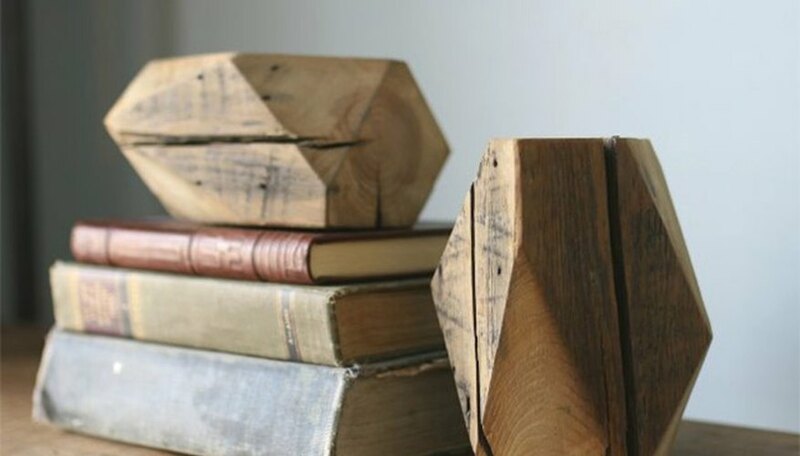 Create [one-of-a-kind bookends](http://wwwehowcom/how_5864573_make-wooden-bookendshtml) for your collection of tomes. This geometric design is not only great at doing its job and making sure books don’t topple over, but it’s also a sculptural objet on its own. With a little bit of patience, you can easily make these chic [resin paperweights](http://wwwehowcom/how_2267150_make-resin-paperweighthtml). Like little ice blocks for your documents, they add just the right amount of oomph to your desk. This brilliant idea is perfect for all the black thumbs out there. 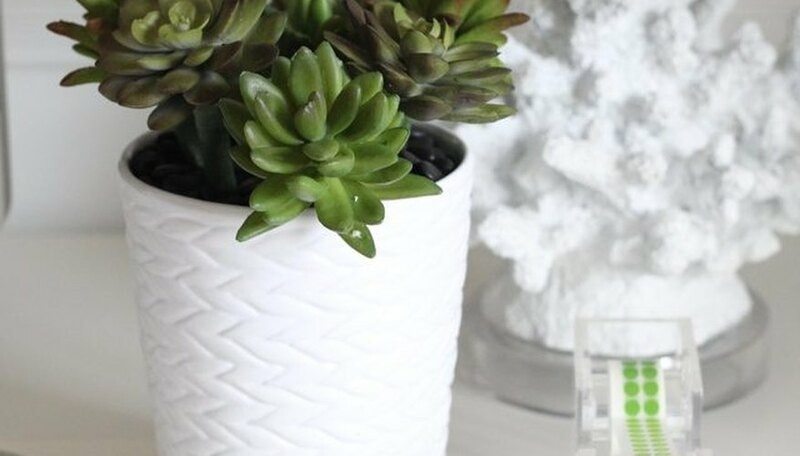 With just a few faux succulents and pens, you can arrange a [real-looking planter](http://wwwehowcom/how_12340491_make-faux-succulent-pen-planterhtml) that also doubles as a tool for doodling taking notes. Purchasing a mid-century modern style desk can set you back a good [$500](http://wwwurbanoutfitterscom/urban/catalog/productdetailjsp?id=32313462&color=020&cm_mmc=SEM-_-Google-_-PLA-_-82530379624product_type_l1a%26product_type_l2furn%26product_type_l3&adpos=1o2&creative=51636898504&device=c&matchtype=≠twork=g&gclid=Cj0KEQjwvJqvBRCL77m2-uKczsIBEiQAkx8VjAYZewDV0bKiVMisI20hZna_0v9nJM5rEYCUGuLcZM8aAmrn8P8HAQ). 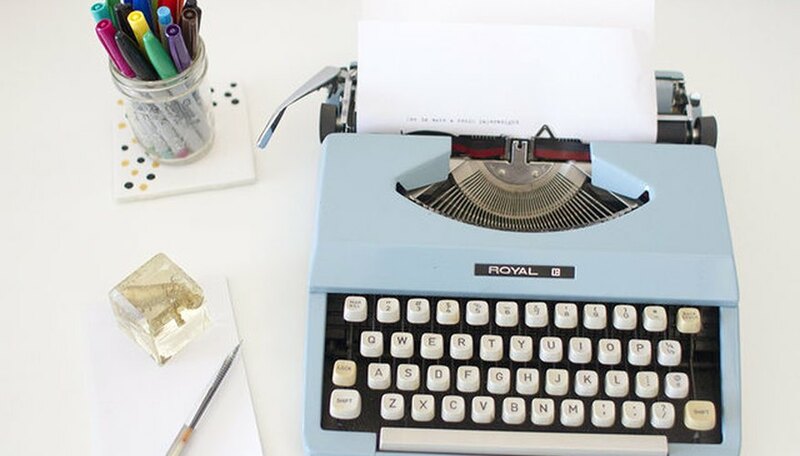 But all you need is one afternoon to transform a basic (and cheap) IKEA table top into the [desk of your dreams](http://wwwehowcom/how_12341119_transform-ordinary-ikea-table-beautiful-midcentury-deskhtml), complete with a cork trivet attached to a backer board for memos. Nothing's more annoying (and concentration-dissolving) than having paper clips and push pins strewn carelessly around your desk. 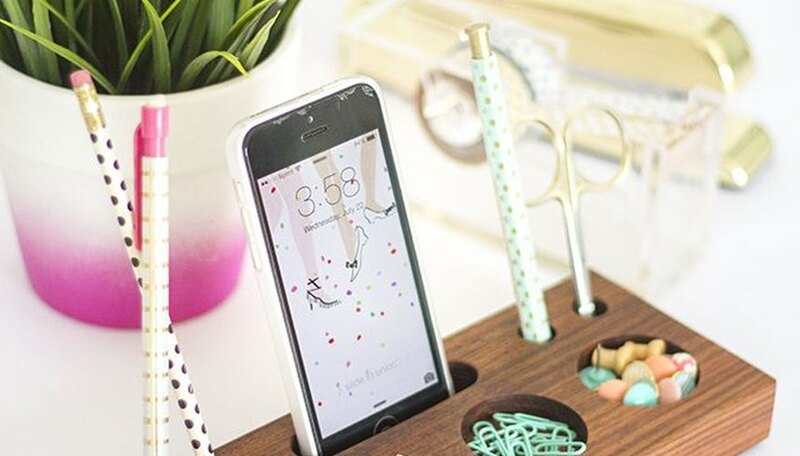 Solve that mess with a clean-cut [organizer](http://wwwehowcom/how_12341066_make-modern-desk-organizer-block-woodhtml) that corrals all of those tiny office supplies into easy-access compartments. 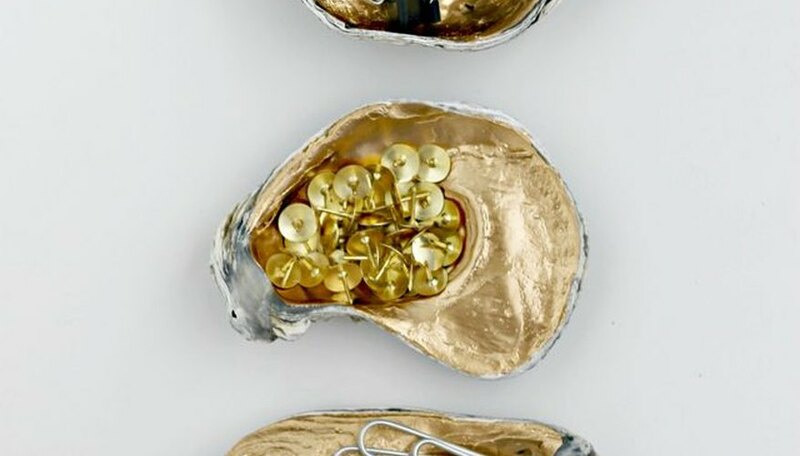 If you're more the glam bohemian type, you can use [oyster shells](http://wwwehowcom/list_5794277_uses-oyster-shellshtml) from your last beach trip to house your office supplies. They're unbelievably easy to make and they certainly make boring clips and pins look a lot more appealing!. Jenny Kim is a writer/editor with a B.S. in Magazine Journalism from Syracuse University. Kim has experience in styling photo shoots (which incidentally makes her an excellent box packer) as well as writing and editing lifestyle topics. 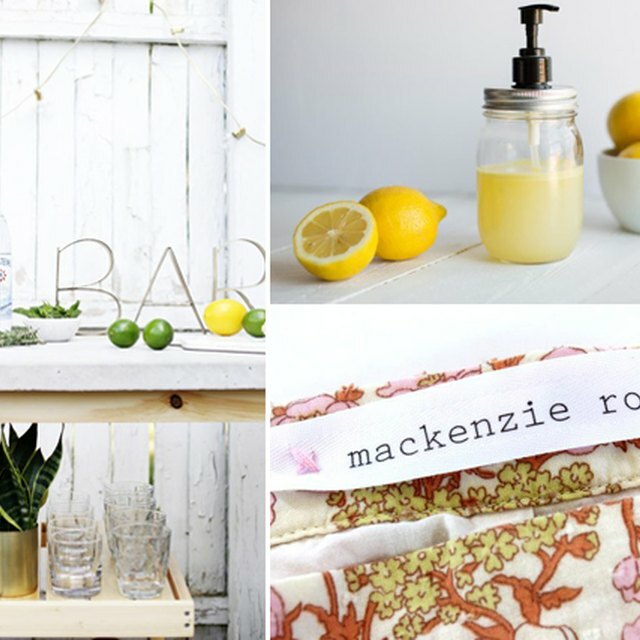 Her work has appeared in shelter publications such as Domino, Martha Stewart Weddings, and Real Simple.